We are excited to have been chosen to create and manage a marketing campaign for The Capps Center – a workforce training center located in Indianola, MS that serves a seven county area of the Mississippi Delta. This project will involve strategy, re-branding, web, social media and print. We love our time in the Delta and are honored to be part of this important economic outreach. Aha! Creative just completed work with Florence Arts & Museums to design a unique marketing brochure to promote the different arts and culture locales around the city. 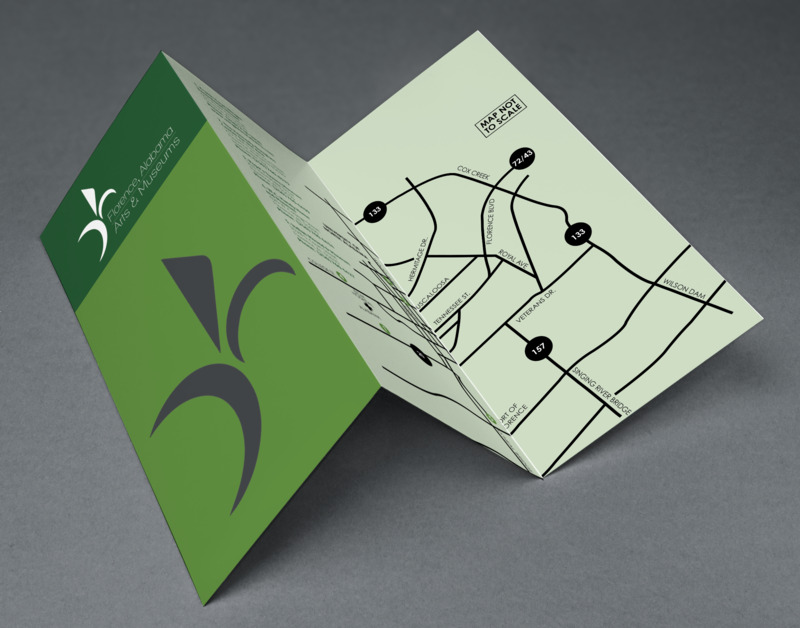 This multi-page brochure uses a variety of paper stock, coatings, and diecuts to present a visually interesting guide to area arts. "I’ve used Aha! Creative for over 10 years and have been so pleased with their creativity and affordability. They listen, get a grasp of what you’re trying to accomplish, and go to work. How fortunate we are to have a big town agency in our small town!" Aha! Creative is moving right along with the design and development of our multi-year Economic Development project for the Mississippi Delta. We are working directly with business leaders and economic developers in the Delta area to attract business investment and development. Our tasks include creating branding, imagery, marketing strategy, web and print design to support industry recruitment and site visits over the next several years. Here is the first look at the creative for the new website. This unique startup has been chosen as a finalist in the Shoals Launchpad Pitch Competition, competing for a share of $100,000. A great concept and we’re proud to serve as their marketing arm. Good luck team! We are proud to be part of entrepreneur Brianna Bigbee’s vision for this interesting online business. Brianna asked us to create a brand identity and functional multi-vendor e-commerce marketplace. 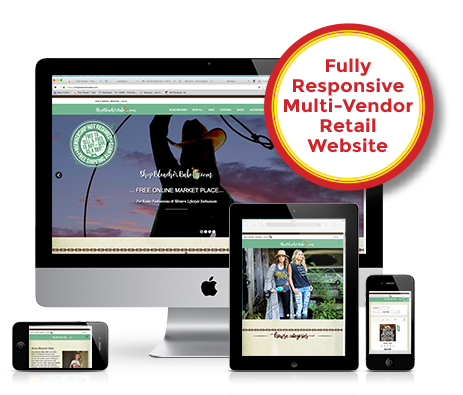 Our team of graphic designers worked with Brianna to create a stunning look for the website, while our web developers worked to develop the back-end functionality that drives the multi-vendor site. Take a look at this cool site! Aha! Creative is excited to officially kick off our multiyear Economic Development project for the Mississippi Delta. We are working directly with business leaders and economic developers in the Delta area to attract business investment and development in the area. 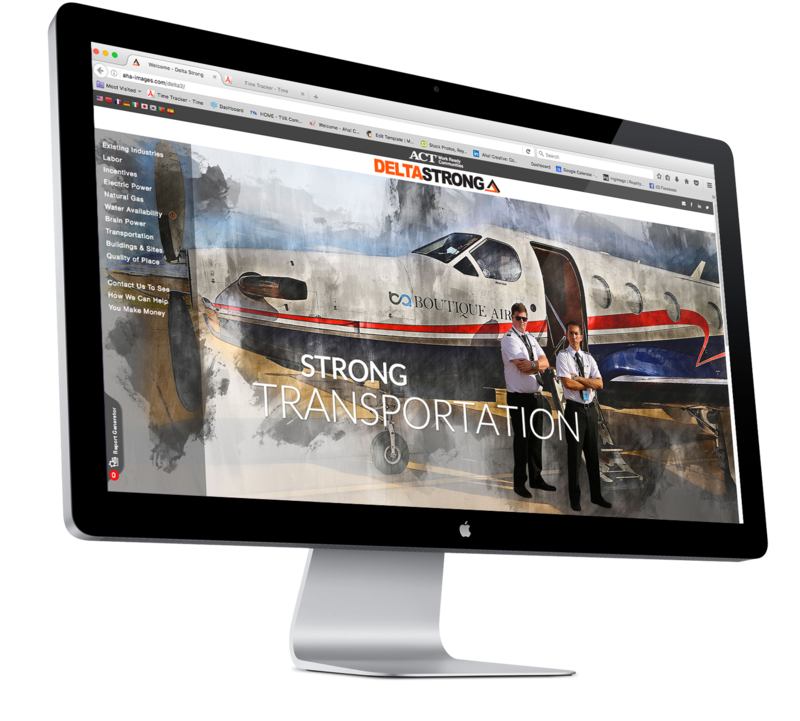 Our tasks include creating branding, imagery, marketing strategy, web and print design to support industry recruitment and site visits over the next several years. Aha! Creative was challenged with a business model that offers a 21st century approach to part-time and full-time physician staffing. This open market model required the development of an online interface matching physicians and facilities directly, instead of the outdated middleman method. 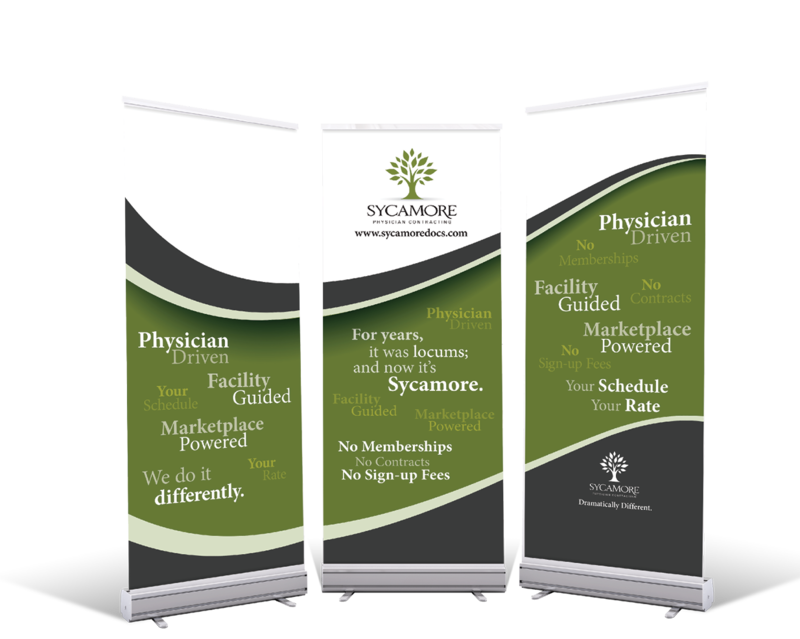 Our work included initial branding, print and trade-show collateral, in addition to the website featuring the online open market concept and functionality. Click here to visit the website to see its full functionality.